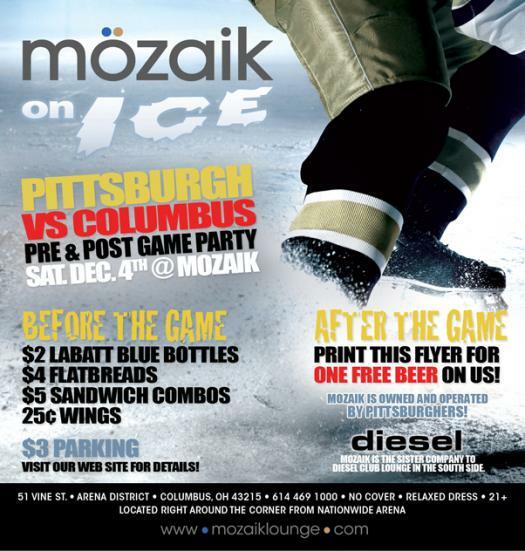 For Penguins fans making the trip down to Columbus for Saturday’s game, there is a Penguins pre and post-game party at Moziak lounge which is operated and owned by Pittsburgher’s. Moziak is the sister company of Diesel Club Lounge in the South Side. Diesel is a sponsor of Inside Pittsburgh Sports.com.